Another week is going to be finished. We hope that for each and every one of you it was full of crafting, not only working. 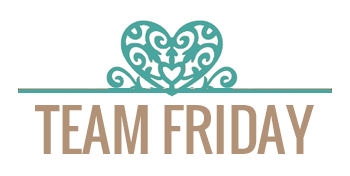 Our two previous teams here at the La-La Land have already shown you their projects made according to the recipe, now it's turn of the Friday Team to share what they've got. 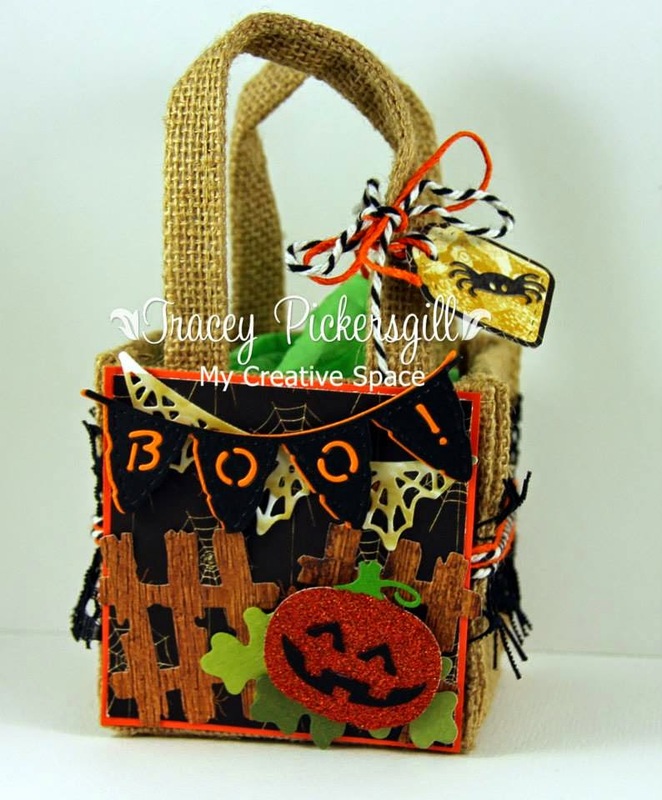 Dies: Stitched Nested Circles (set of 7) , Spiderweb and Spider (set of 2) Die , Fence: September Club Kit. 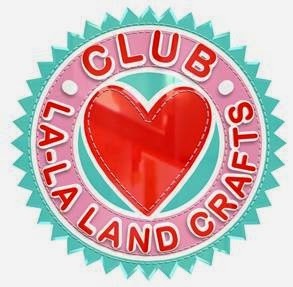 Don't forget, you can join in all the fun here at La-La Land Crafts by adding your creations to our Facebook Page or Twitter. 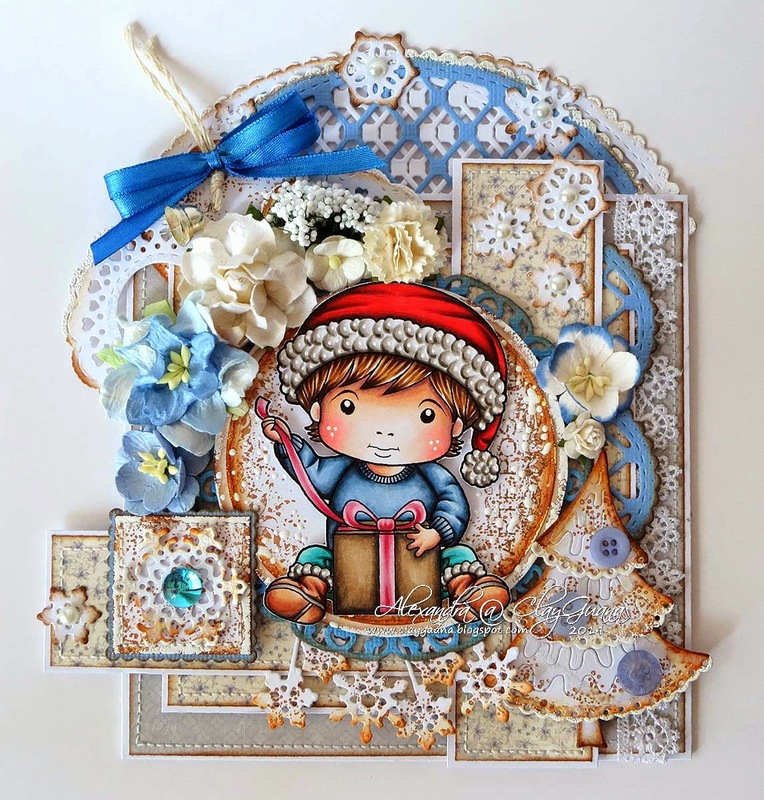 To finish off the card, I positioned the three ornaments onto a piece of white cardstock, using glue at the back of the ornaments and cellotape on the back of the card to secure the twine. I simply topped the ornaments off with some Doodlebug gems for a bit of bling, but little bows would look good too. 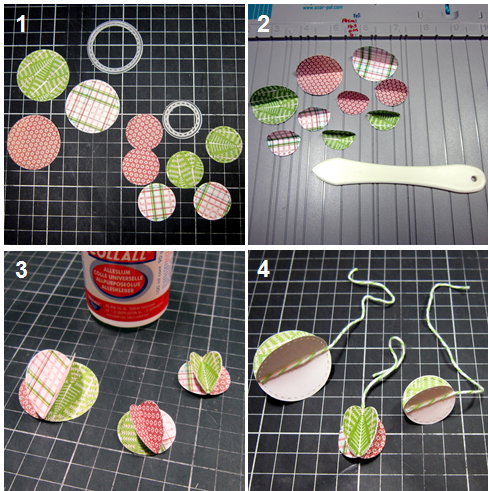 You can also make these into tree ornaments simply by doubling up the number of die cuts and gluing them to create a full ball - I'm going to give this a go myself! I think you'll agree that really was easy peasy and I hope you give it a go! 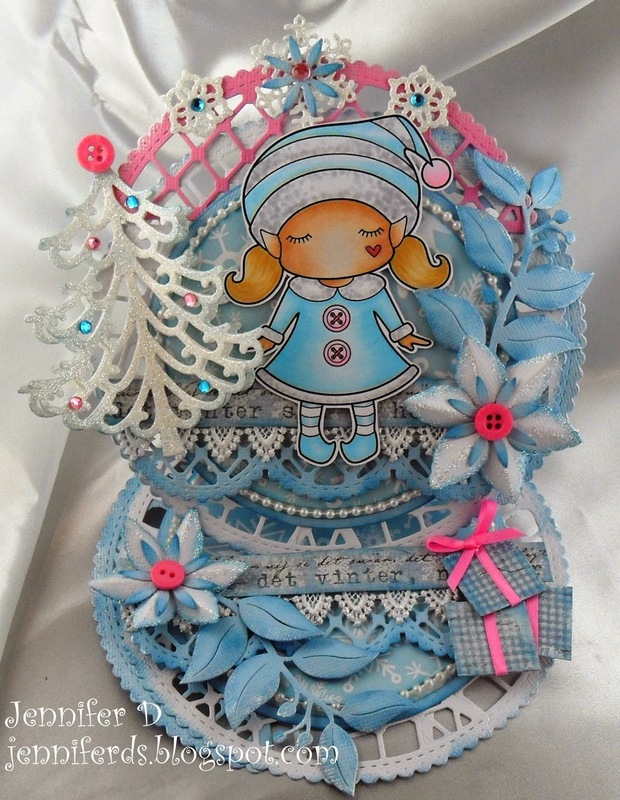 That's it from me today but stop by again to get your daily dose of La-La Land Crafts inspiration - ta ta for now! Hello! 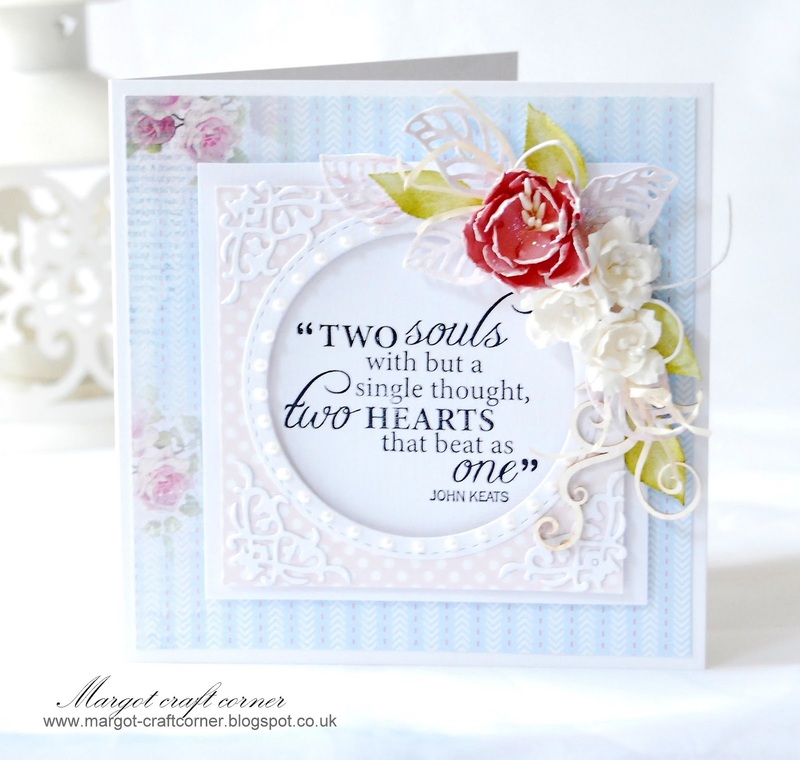 Margot here and I am the host for this week's Inspiration Wednesday. 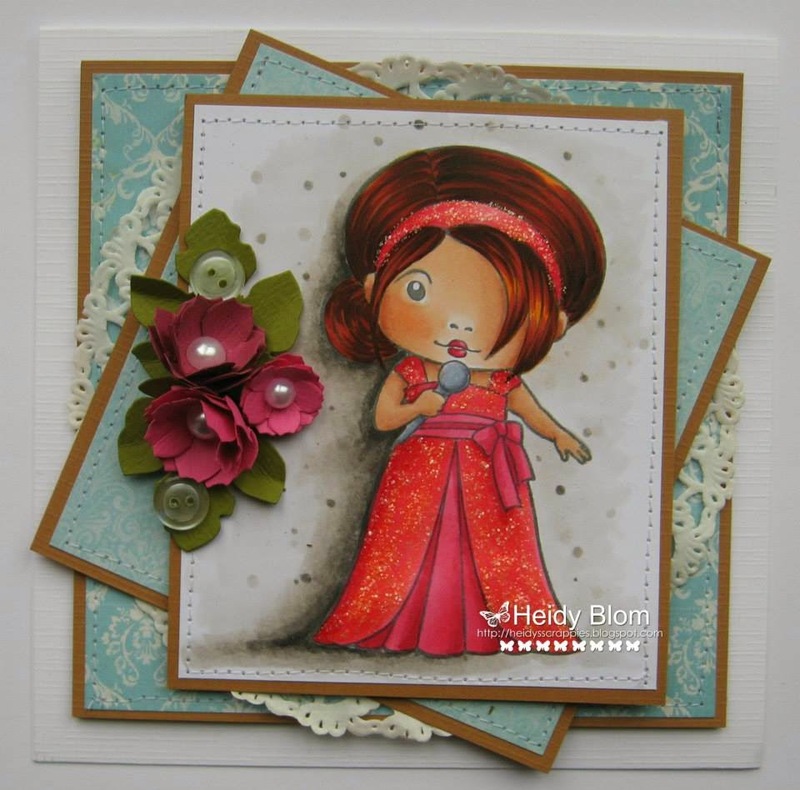 by adding your creations to our Facebook Page and Twitter. 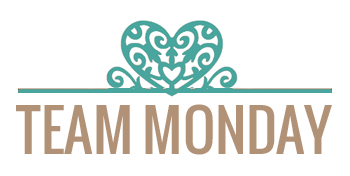 Hi Everyone its Jennifer here with a really Sweet Theme for the Week. We all had lots of fun with this one so give it a go. 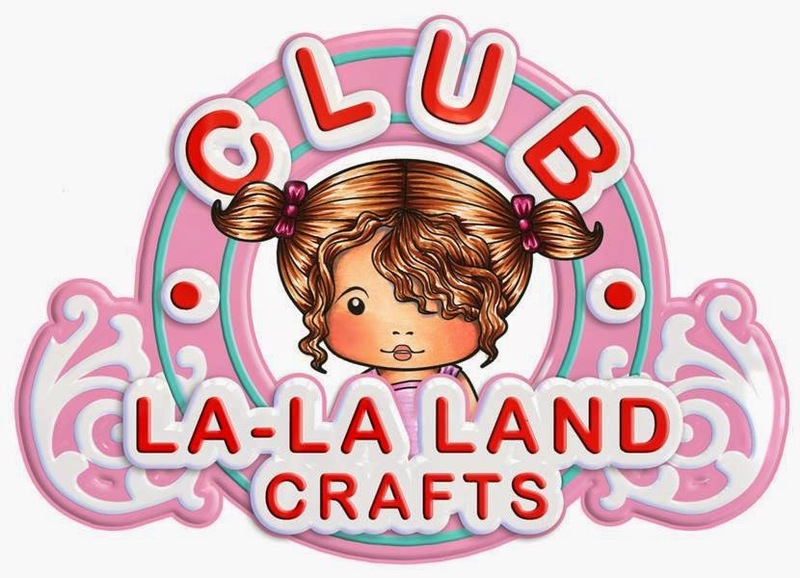 Don't forget you can play along and join all the La La Land Crafts fun over on our Facebook Page, where you can post all your La-La Land creations; remember you can also find us over on Twitter and our Pinterest boards. Have a lovely weekend and enjoy crafting! Hello! 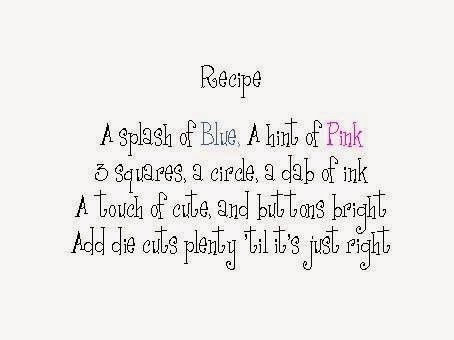 Happy Thursday to you all..
Joy here bringing you another Tutorial Thursday.. 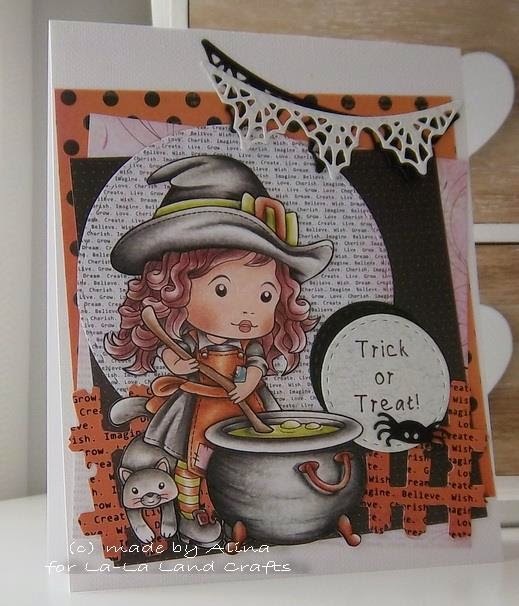 This week I am sharing a Halloween card with you all and using masking with dies.. 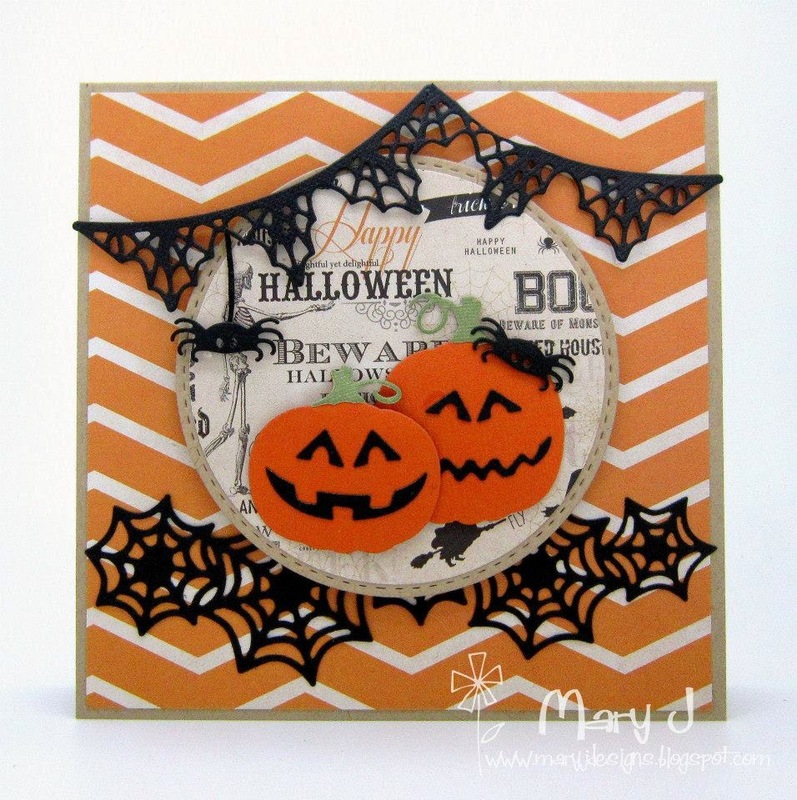 Using the negative piece of masking with the die cut circle, place onto a trimmed piece of white card stock of the same size..
Once the masking paper is adhered down to the white card stock, start to apply distress inks to create a moon feature.. Removing this masking paper, I then added the die cut Scary Tree, using the negative die cut of the tree, applying black soot ink..
Once this has had time to dry, this is where the positive pieces come into play, applying directly back over the inked sections, then start to apply different coloured distress inks to get the spooky sky scene.. 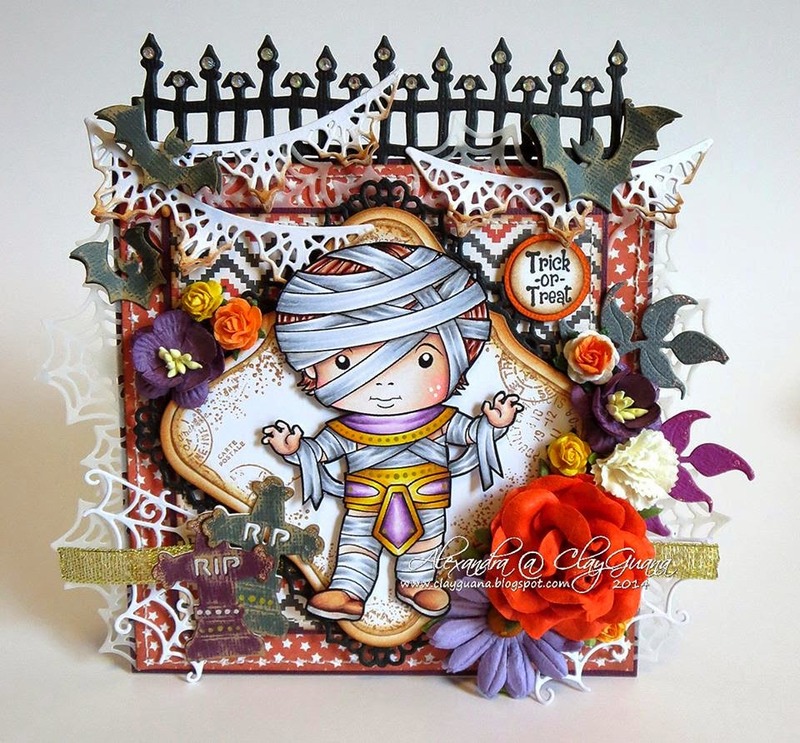 Here is another look of the card, I also die cut some Eerie Bats and a sentiment from Egyptian Mummy Luka to add just a little more addition to the card.. 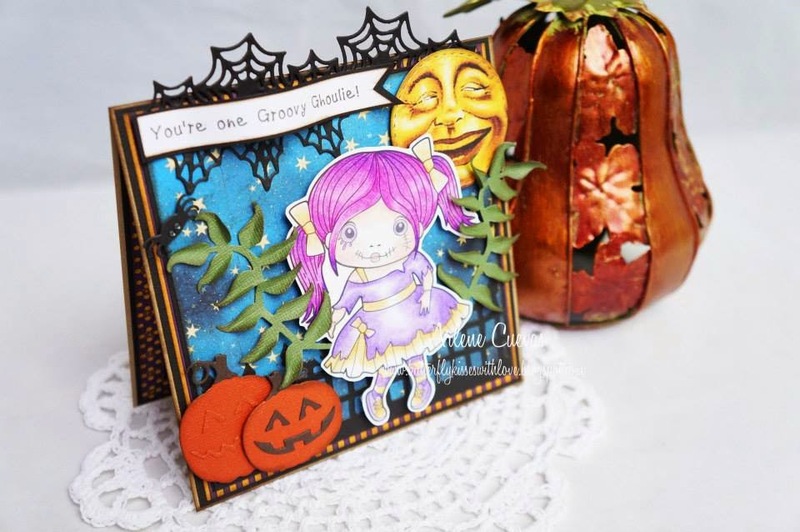 I hope you take your dies out and see what scenes you can create using masking..